Transform your Salesforce data based on a set of steps you define, and then schedule it to run automatically. 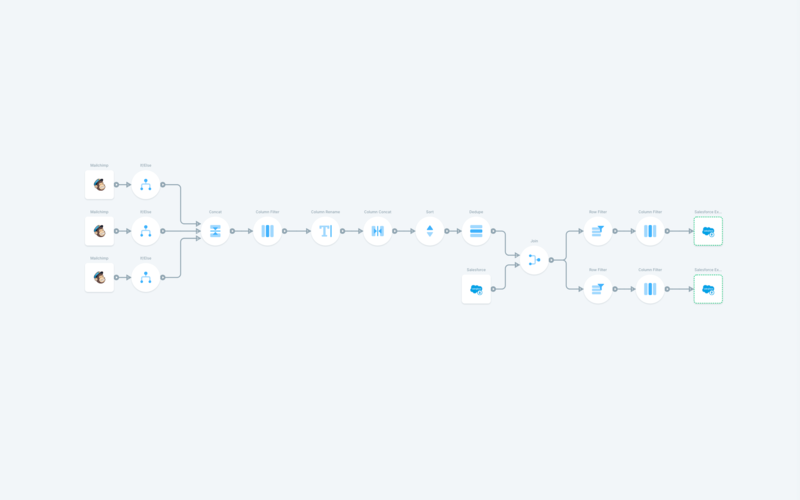 Skip the confusing, static Salesforce exports. Parabola makes it simple to view all of your Salesforce data in a spreadsheet format, and we'll always pull in the latest changes so your data stays fresh. 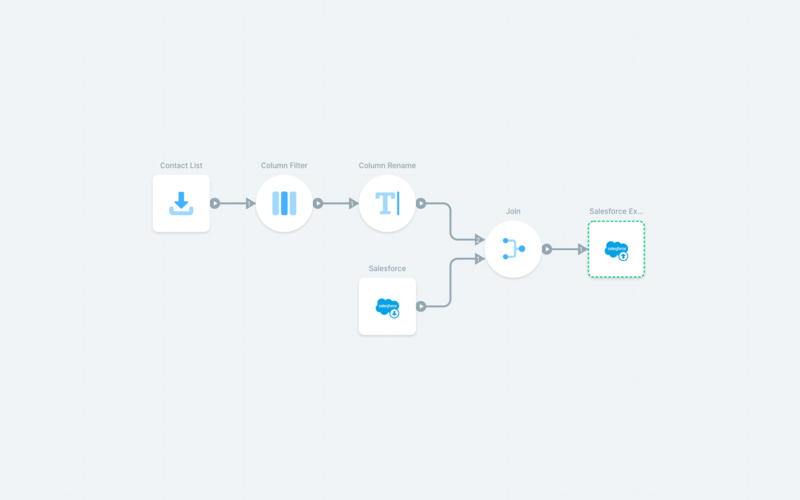 Complete the loop by having Parabola automatically push your data back into Salesforce. You can also push data to other services, create custom reports, update a dashboard, and so much more. Your entire complex workflow can be run with just one click, or you can set it to run automatically on a schedule. 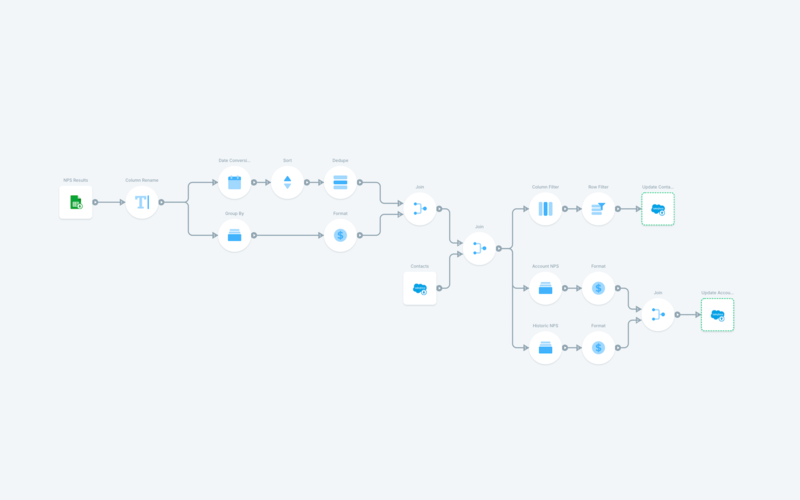 Your scheduled flow will run in the cloud and you'll receive an email confirmation when it finishes, so you don't have to do anything.